Welcome back to Beyond Co-Op, the weekly piece that looks at gaming news around the industry that may or may not pertain to cooperative gaming. This week we've got some mobile gaming news, a release date for the biggest game of "next-gen" and a next-gen trailer for another sports game. The first person and top down hybrid game set in the Call of Duty universe was released last month on iOS. Now available on Android the game features traditional CoD action mixed with top down strategy. There is both a campaign and survival modes to play. It's not compatible with every device though, so be sure to check the Play Store to see if it can be yours for $6.99. Robot Entertainment have made some excellent titles with both Hero Academy and Orcs Must Die 2! on the top of that last. Robot's next game is called Echo Prime, and it a side scrolling action RPG game available on iOS with an Android version coming soon. The game has a pseudo co-op element as the core concept involves collecting "Echos" - heroes from other universes. You can collect your friend's echoes and help power up your own game. 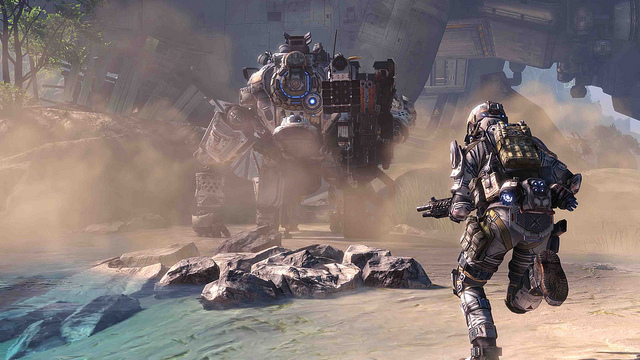 Everyone is preparing for Titanfall, the next-generation game from the original creators of Call of Duty. The title will be available on March 11th on the Xbox One, PC and Xbox 360. A badass collector's edition was announced which will run you $250. Sure that seems like a lot, but you get a foot and a half tall mechanical Titan that is battery operated with it. Oh snap. Last week we saw both Madden NFL 25 and NBA 2k14 on display, this week we're looking at soccer (or football for the rest of the world). Page created in 0.7894 seconds.